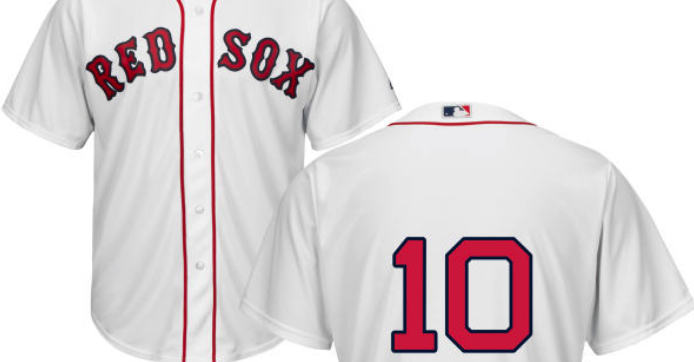 New Red Sox post-season hero David Price will switch his uniform number from 24 to 10 for the 2019 season. Now, those sharp-minded among you are probably thinking—aha, they're about to retire number 24 for Dwight Evans (worthy) or Manny Ramirez (jury still out on worthiness). Well, it looks as if the Red Sox are not planning any such retirement on the right-field façade this year—so why the switch by Price? Nobody is really sure. When he arrived in Boston, Price could not use his Vanderbilt/Rays/Tigers 'uni' number 14—some guy named Jim Rice had retired that one in Boston. So, he took 24 for the last three seasons. This new switch is an odd circumstance—but, hey, he's always been an odd guy. On a separate note, Craig Kimbrel's uniform number 46 has not been taken as yet by any players or non-roster invitees. Is there a message in this? Calling Dave Dombrowski!